Stand out while wearing this wonderful Madison James 19111 ball gown. 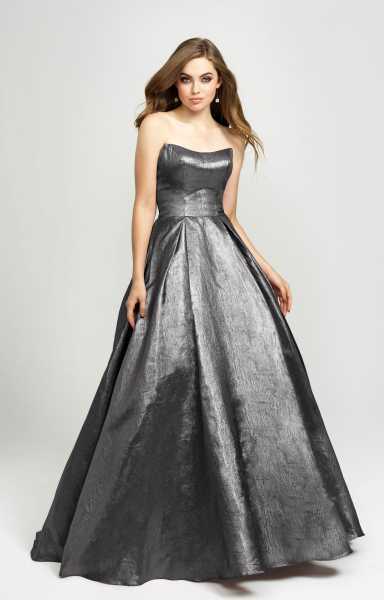 This Shimmering woven fabric creates a liquid, reflective effect on this chic ballgown. The fabric is made from a glitter mikado with thin straps and a zipper enclosure.